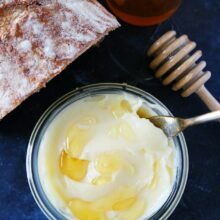 Honey Butter-you only need two ingredients and five minutes to make this light and fluffy homemade honey butter! Bread and butter, the perfect pair. An every day classic. I mean, what would life be without bread and butter? 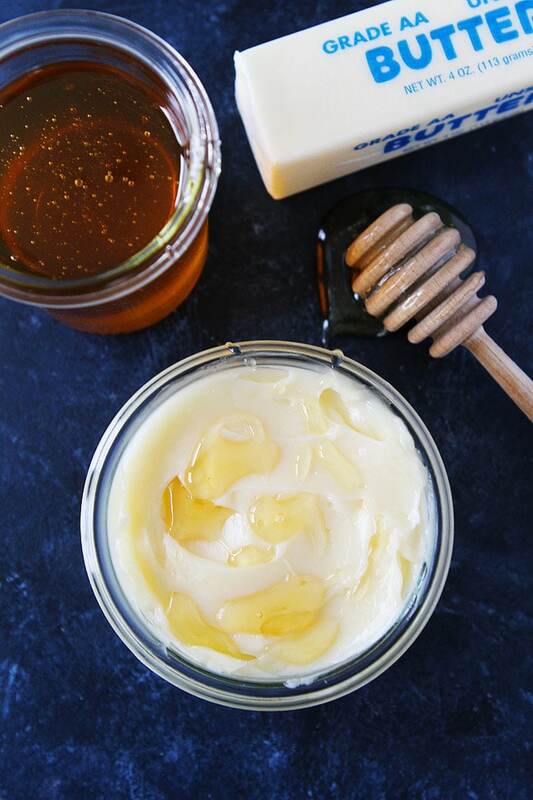 You only need two ingredients and five minutes to make homemade honey butter. I use salted butter. If you don’t have salted butter, you can use unsalted butter and add sea salt. Salt is a MUST for bringing out the best flavor. I sometimes even add a little sea salt to the salted butter, it just depends on the brand of butter I am using. Taste and decide how much salt you want to add. Make sure your butter is soft. 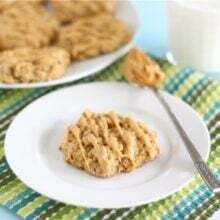 Then, beat the butter using a stand mixer or hand mixer for about one minute or until the butter is light and fluffy. 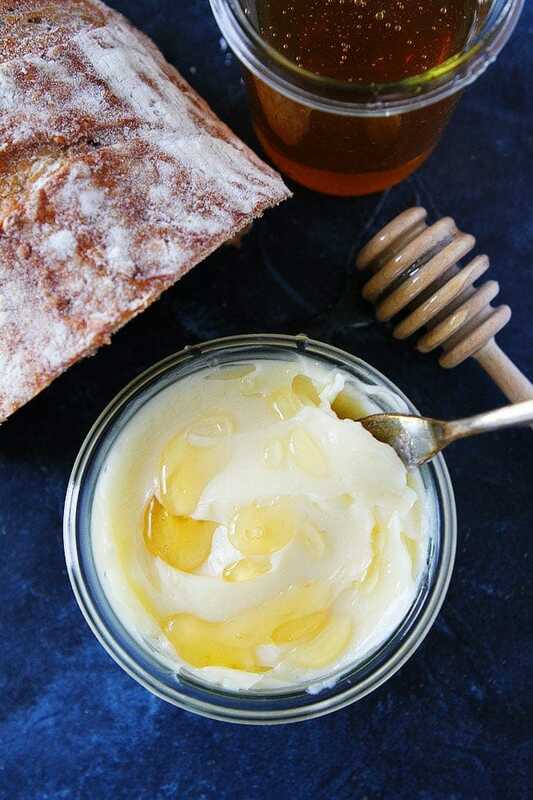 Beat in the honey until combined and scrape the butter into a jar or container. The butter will keep covered in the refrigerator for up to 2 weeks. Bring the butter to room temperature before serving. I like to drizzle a little extra honey over the top before serving. 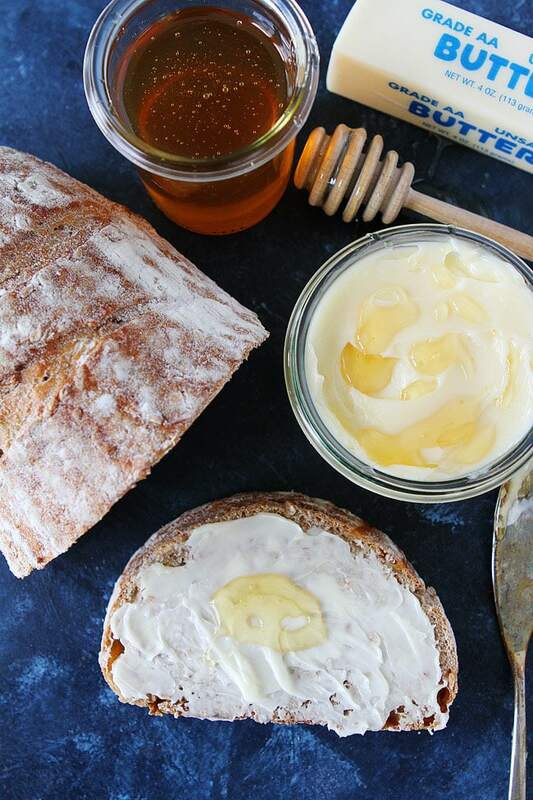 Whip up homemade honey butter and your life will be changed. It is SO simple and SO good! 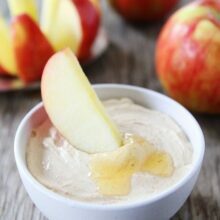 You only need 2 ingredients to make this easy whipped honey butter! 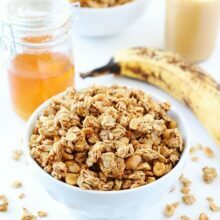 It is great with fresh bread, toast, rolls, pancakes, waffles, and more! Place the butter in the bowl of a stand mixer. Beat for one minute or until the butter is smooth and creamy. Scrape down the sides of the bowl with a spatula. Add in the honey and beat again until combined. Taste, add a little sea salt if the butter isn't salty enough for you. Place the butter in a jar or container. The butter will keep in the refrigerator for up to 2 weeks. Bring to room temperature before serving. I like to drizzle a little extra honey on top before serving. Note-if you don't have a stand mixer, you can use a hand mixer. If you use unsalted butter, make sure you salt the butter with sea salt. The salt is a must! I could totally go for a slice of bread smothered in this!!! I’m not sure why I’ve never made honey butter. I’m a huge fan of salted butter (I mean, who isn’t really?) and I have this seemingly endless supply of fresh honey from the boyfriend’s parents. I have NO excuse. And I love it when it’s served in restaurants. I can’t wait to make this!